Starting April 17th 2019, the Institute will be running SABSA webinars, hosted by members of the SABSA community. The first in this series to be delivered by Robert Laurie, Applying SABSA to Classified information, is now available for registration. This webinar will walk through Robert’s recent SABSA at Work publication, and hold a Q&A at the end to discuss Robert’s approaches and use of SABSA. 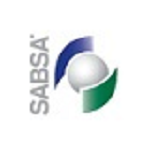 SABSA webinars will be made available on demand for Institute members after the event.